If you live in England – wherever you live in England – there could soon be badger culling in countryside near to you, if the government proceeds with plans on which it is currently consulting. The consultation is open until 15th April, and anyone can respond. 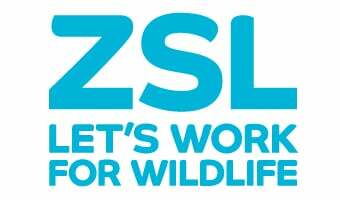 Links are provided below to ZSL’s responses, which are based on careful evaluation of scientific evidence. In 2017 nearly 20,000 badgers were killed by farming groups hoping to protect their cattle from bovine tuberculosis (TB). The proposed policy changes would greatly increase that number. Badgers can indeed pass TB to cattle, although scientists estimate that only about 6% of TB-affected herds acquire infection this way, with the other 94% infected by other cattle herds. Killing badgers lowers badger numbers, but it also causes surviving badgers to range more widely, so that they encounter other badgers and cattle over wider areas. In certain circumstances, these changes can mean that badger culling increases cattle TB rather than reducing it. In 2017, when badger culling covered 8,555 sq km (an area twice the size of Somerset), there was still no firm evidence that the approach was reducing cattle TB, with infection not significantly different between culled and unculled areas, and no sign of decline in the national epidemic. Nevertheless, the vision remains to expand culling across entire counties where the TB risk to cattle is highest. The above map shows cattle TB risk for counties in England. The counties shaded in darker blue represent England’s high risk area, and there is a vision to cull this entire area. Light blue “edge” counties are also eligible for large-scale culls. Cattle TB risk is low in the counties shaded white, but if the government’s plans go forward these would become eligible for small-scale culls where cattle TB is confirmed. Most low-risk counties have experienced sporadic TB incidents in the past three years so culls could be scattered across the entire area. Risk map taken from here. The first consultation, which is available here, describes plans to turn this vision into a reality. Under current rules, Natural England, the organisation responsible for protecting badgers, is allowed to grant up to 10 new cull licences each year (last year’s new areas covered 4,752 sq km, that’s twice the size of Cheshire). Defra proposes removing this cap. This means that, in principle, the high-risk counties could be culled in their entirety this year, creating a massive cull zone stretching unbroken from Lands End to the Peak District. This is a move which Natural England itself noted “has not previously been sanctioned for any protected native mammal species in modern times”. Risk a major environmental impact, not just on England’s farmland ecosystems, but also on the United Kingdom’s efforts to promote coexistence of people and wildlife internationally. The second consultation, which is available here, proposes extending badger culling beyond the areas where cattle TB is a persistent problem, to the low-risk area where herd infections are rare and sporadic. Rather than proposing more large-scale culls for these areas, the government plans localised culls focused on specific TB-affected farms. Pursuing culling outside the framework of the Protection of Badgers Act, as the government suggests, risks sending a message that it tolerates unlicensed killing of protected species. Responding to public consultations is important. Consultations are not votes, and often policies go forward even if only a minority of respondents support them. But consultations do provide an important opportunity to comment on proposed changes to government policy, and they can lead governments to change their plans. If you would like to respond, you can follow these links to access the two consultations – do read the consultation documents provided there before responding.